A set of scenarios specifically designed for strategic solo play – scenarios that would highlight the strengths and weaknesses of each class and force players to really get under the hood and learn to play each class masterfully. 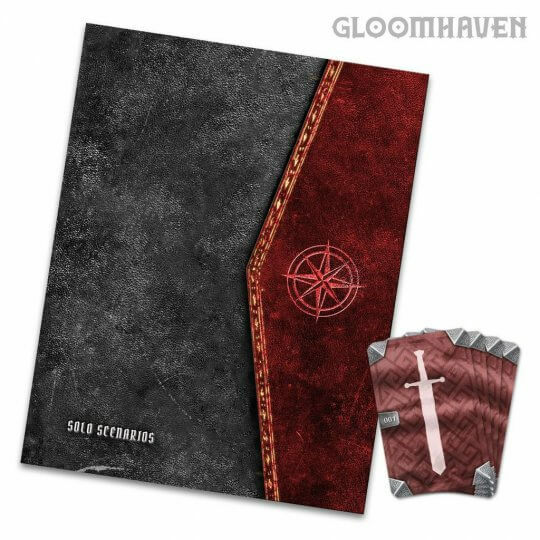 This includes a 24-page scenario book of 17 all-new solo scenarios and a deck of 17 item cards – rewards for completing each of the missions. These scenarios are locked until the town has achieved prosperity level 3 and two characters have retired. Further, a character entering one of the scenarios must be at least level 5.